Why, Oh Why, Oh Why, Oh? Remember when you used to check in at the airport, and the airline employee would ask you if anyone had asked you to carry anything for them, or if you had left your own bag unsupervised? And you would answer "no," of course, but you would also secretly sort of roll your eyes, because obviously anyone would answer "no" to that question, especially someone who actually was carrying something dangerous. Well, Ohio has taken this model of dubious effectiveness and expanded on it. 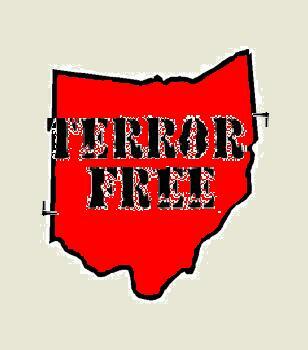 As of last week, if you want to register a charity, get a public job or land a government contract in Ohio, you have to declare that you've never aided a terrorist. Supporters say the new law, which has been nicknamed the Ohio Patriot Act, serves as an additional tool in the fight against terrorism. But opponents say it might work too well. The ACLU says applicants risk being charged with a felony no matter which way they answer. That group is suing the state, saying oaths like this are unnecessary and dangerous. Mostly, though, it just seems pointless. Can you imagine anyone -- especially someone who has given aid to a terrorist group -- answering "yes" to this question?